Impressive innovations and exciting announcements took center stage (literally) at Opening Session of SAS Global Forum 2016. 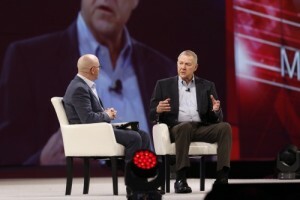 Near the end of the session, SAS CEO Jim Goodnight shared news about SAS’ new architecture that had everyone abuzz. Goodnight was also quick to point out that SAS Viya will work with customers’ existing SAS 9 software. Goodnight invited Vice President of Analytic Server Research and Development Oliver Schabenberger, who led the development work for SAS Viya, to join him on stage to discuss the new cloud-based analytic and data management architecture. The SAS Viya procedural interface will be available to early adopters in 30 days, with visual interfaces scheduled for a September release. Customers can apply to be part of the SAS Viya early preview program. Here's a short interview with Mike Frost, SAS Product Line Manager, that explains the benefits of SAS Viya and what customers are already saying about it. SAS Viya wasn’t the only “star” of the evening. Goodnight lauded the company’s continuing efforts to globalize and expand ways to make our software faster and easier to use. On the development side, he highlighted SAS Customer Intelligence 360, SAS® Forecast Studio, SAS® Event Stream Processing, SAS® Cybersecurity and the next generation of high performance analytics. Farrell singled out several customers including Idea Cellular Ltd. in India, which is processing a billion transactions a day -- something that was impossible before high performance analytics – and Macy’s customer intelligence project that is focused on making real-time offers to customers as they walk through a store, creating a personal and immediate experience. Farrell also said he was so proud of the SAS work being done outside of business, in the data for good realm, specifically mentioning work in Chile combatting the Zika virus and the work of the Black Dog Institute, which conducts research to improve the lives of people with mental illness. “Our customers are doing amazing things with SAS that we couldn’t have imagined 40 years ago, and this is just the tip of the iceberg and there’s so much more to come,” Farrell said. Speaking of stars, Senior Vice President of Technical Support Annette Harris applauded the SAS Super Users for their work in support communities. 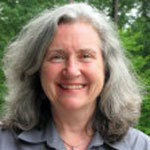 “SAS users have a rich tradition of helping each other in peer-to-peer forums,” said Harris. 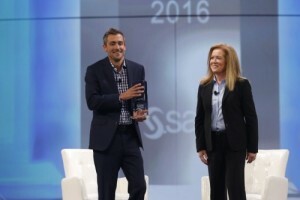 Harris also recognized the 2016 SAS User Feedback Award winner, Jeromey Farmer, a Treasury Officer from the Federal Reserve Bank of St. Louis, noting that SAS gained strong insights from Farmer into how SAS can more seamlessly integrate in a complex and secure environment. SAS Executive Vice President and Chief Marketing Officer Randy Guard took the stage to announce SAS® Analytics for IoT and to talk about some macro trends he is seeing, including the digital transformation taking place in business and technology. He cited an IDC report that stated by the end of 2017, two-thirds of all CEOs will have digital transformation – across their company – at the top of their agenda. Woven throughout Opening Session were references to SAS’ 40 years in business. Asked about what has changed over the years, Goodnight recalled that when SAS started, there was one product on a single machine. Now we have more than 200 products on dozens of machines. Back then, a computer could process about 500 instructions a second. Now it’s up to 2 to 3 billion instructions a second. The very first disk drives were two feet across, with tapes containing about five million bytes. Now we can get 1.2 terabytes in the size of a K-cup. As for key milestones over the 40 years, Goodnight said two things came to mind. One was the introduction of multivendor architecture in the mid-1980s so our software could run on all platforms, and the other was the advent of massively parallel computing. Not surprisingly, given the milestone anniversary year for SAS, the Opening Session ended with a video retrospective looking back on world news from the 1970s through today, with a cameo appearance by Goodnight from the early days of SAS. If you want to view a recording of Opening Session, visit the SAS Global Forum Video Portal.